Keeping baby and child happy in the car is a bonus when you are planning to travel with car. Especially during those sunny summer days where the sun is really shining through the car windows. It's a great idea to buy a car shade for the back windows for baby and/child. 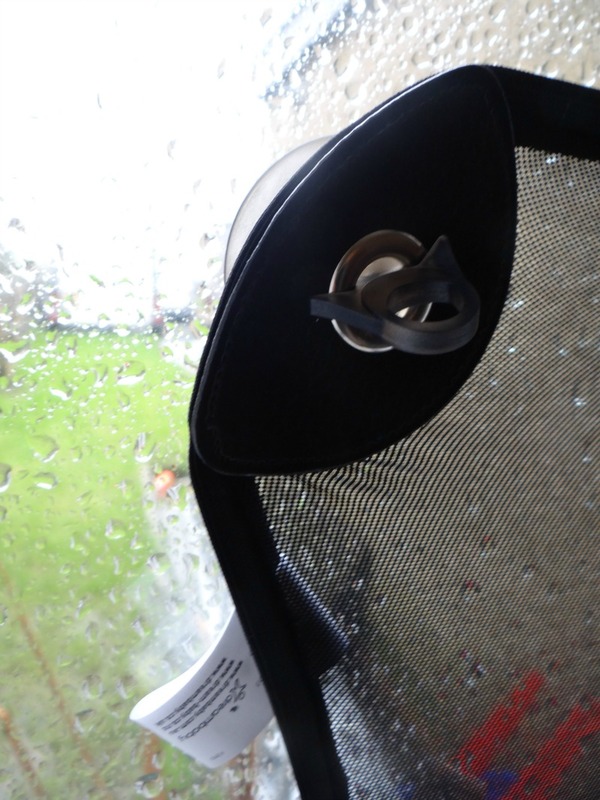 We were recently given two car shades to review from Dreambaby®. 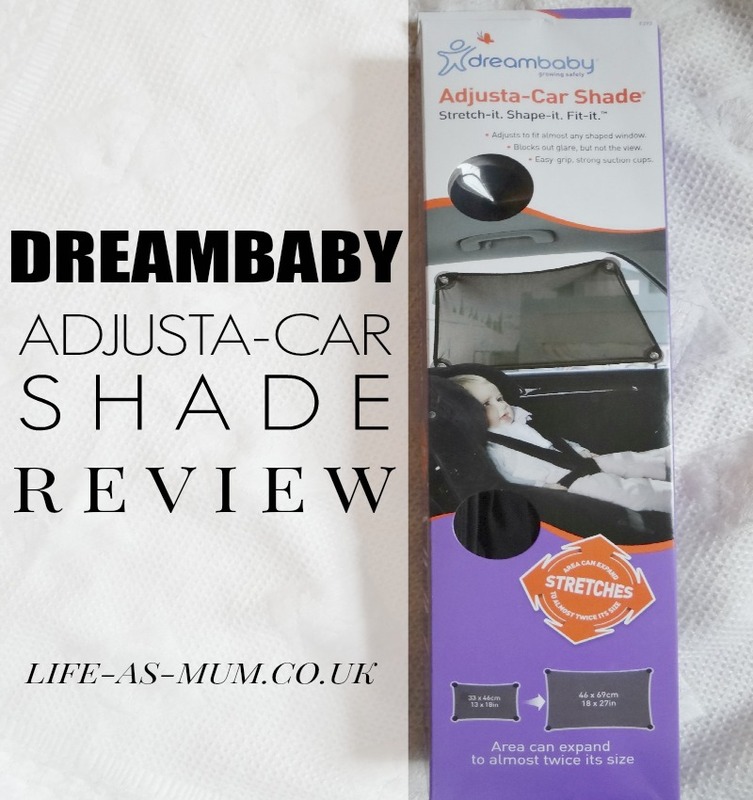 The Dreambaby® Adjusta-Car Shade™ Stretch-It, Shape-It, Fit-It™ is a new car shade which is a little different to all those other car shades. The Adjusta-Car Shade™ is a very stretchy material which can expand to almost twice its size, from 33 x 46cm up to 46 x 69cm. 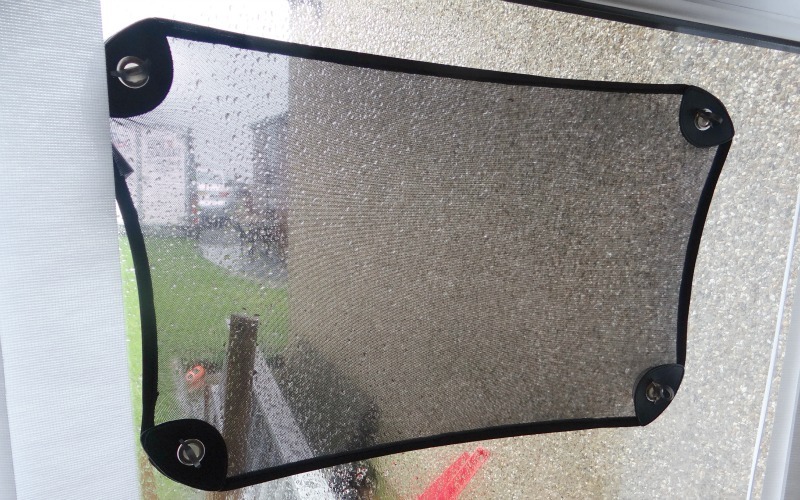 The material is very easily stretched so you will have no trouble fitting it on your car window. To keep in place there are four simple suction cup attatchments. All you have to do to place them is firmly push them down and to take them off you get hold of the remove tab on the suction cups. These car shades are perfect for any short or long car journeys to keep the sun out of baby and child's face and also provides good protection from UV rays from the sun. Baby/Child can also still look through the window because the car shade does not block it the view out completely which is a bonus. * I was given this product free of charge from Dreambaby® in return of an honest review. All words, images and opinions are my own, as always. I also have this car shades at all the four door. This help me to protect my self from sun light and many other benefits. I often use this method to combat the harmful effects of the sun in my car. I think it will be very useful when you use for children. Nice product. I will need it for my car and will buy it soon. Thanks for your nice review. You can visit my site for more about car. This car shade is really helpful in sunny weather. I'm looking for it, then I've found this post. Thanks for your useful review. We are attempting to see if there is a co-relation between a bright color vehicle and the amount of traffic violations such as speeding tickets, and Well-written article if this is found to be the case then yes, your propensity to obtain a traffic ticket will hurt your driver record, and thus increase the rate of insurance you pay. 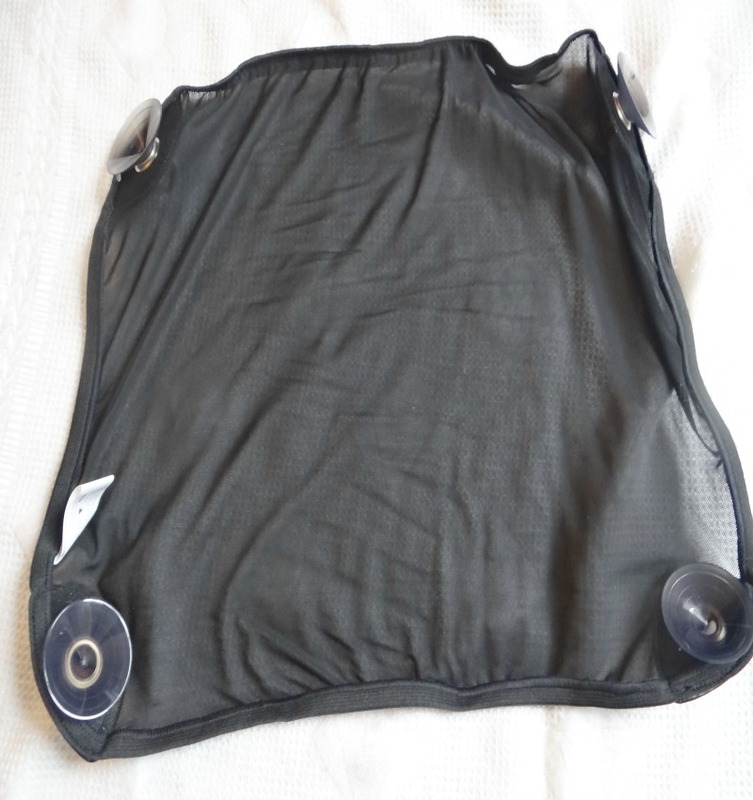 I am looking for one of this sort of items for cars, and I would consider Adjusta-Car Shade™ as well. Thanks for share!